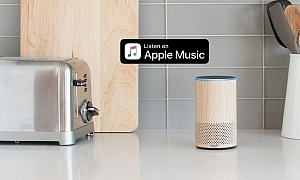 Top Five Best Mini Hi-Fi Systems For 2019 - Which? In an ideal world we would invest in the best possible sound system to do our favourite songs justice. But that’s not always practical, especially when it comes to price and space. If you don’t want a full-sized, audiophile's hi-fi but you also don’t want a pint-sized wireless speaker, a mini hi-fi system is ideal. The best models cram a lot of features into a compact box, without compromising on sound or becoming too complex to use. Put one in your living room and you can relax with your favourite artists, or tune into Gardener’s Question Time while you’re putting your feet up. Which? tests a wide range of mini hi-fi systems every year, from simple, budget mini systems to high-end models with internet streaming and Bluetooth capabilities, so you can find the most suitable one for you. In the table below you’ll find four Best Buy mini hi-fis we’d recommend, and further down the page we’ve highlighted three of the worst for comparison. So, you can make sure you don’t end up with a mini hi-fi system that sounds awful or is a pain to use when all you’re looking for is some easy listening. Only logged-in Which? members can view our recommendations in the table below. If you’re not yet a member, you can get instant access by taking a £1 Which? trial. This mini hi-fi is certainly appealing, earning a Best Buy award for matching great sound with simplicity. There’s a CD player, DAB/FM radio and Bluetooth, as well as a range of inputs so you can run your TV, set-top box, games console or Blu-ray player through it. If you're looking for a truly modern mini hi-fi with all the latest features - including music streaming and voice assistant compatibility, this mini hi-fi will be the perfect audio system for you. Sound quality is exceptional and it's easy to set up and use. It's a fantastic Best Buy. Although it's relatively modest in terms of features, with no fancy extras such as internet connectivity, this mini hi-fi system has got it where it counts. It produces a pleasing and powerful room-filling sound, and is particularly easy to set up and use. This is quite simply the best all-in-one mini hi-fi system on the market. Its built-in speakers deliver sound rivalling some of the best separate speaker mini hi-fis around, and its simple design makes it a dream to use. Plus it has a whole host of connectivity options so you can easily connect it up to all your devices. Pricing, recommendations and test scores correct at April 2019. Not found the product for you? 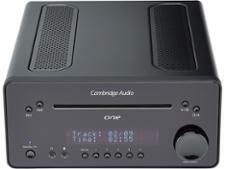 Browse all of our mini hi-fi system reviews. 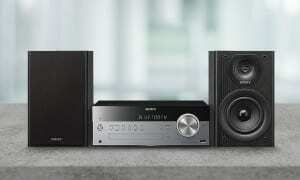 Mini hi-fi systems aren’t cheap, ranging in price from around £100 up to £500. So, if you make a mistake, it’s most likely going to be a costly one. Not only do Don’t Buy mini hi-fi systems sound awful, but they’re often also poorly built and difficult to use. The three below have very few redeeming features and the sound quality is so poor we would recommend you stay well away and invest in a better-sounding system. This mini hi-fi system can go pretty loud and it has a wide range of features, but it fails at actually making anything sound good. It also automatically goes into standby mode, which means it takes a few minutes to warm up every time you want to use it. This sleek-looking all-in-one mini hi-fi struggled to cope whether we played pop, rock, classic or jazz, and speech didn’t fare much better either. It’s simple to use, but incredibly limited if you don’t have remote control to hand. Although this mini hi-fi system is very reasonably priced, it’s the worst-sounding model we’ve ever tested. Not only is it headache-inducing to listen to, but it’s a nightmare to use the diminutive remote and it’s awkward to set it up too. 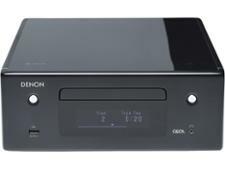 The very best micro hi-fi systems offer a wide range of playback options, which cater to how your music is stored - whether it’s on CD or a digital audio file. 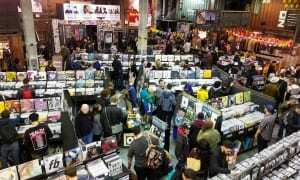 They play the radio you want to hear, whether it’s AM/FM, DAB or internet radio. They offer wired and wireless streaming, and have a range of inputs so you can run your TV, set-top box, games console or Blu-ray player through it. Here are the main features you might want to consider if you’re investing in a new mini hi-fi system. If you want to listen to FM/AM or DAB radio, you’ll be best off getting a mini hi-fi that comes with an external aerial. If the aerial it comes with isn’t up to the job it is possible to switch it for another one, but check with the manufacturer before buying one to check it would be compatible. Built-in wi-fi means easy access to your existing internet connection, so you can stream from music and radio subscription services, as well as get internet radio. For wired streaming from smartphones, tablets and other devices, you’ll need a mini hi-fi with a 3.5mm line-input socket and a line-input cable to connect it to your hi-fi. 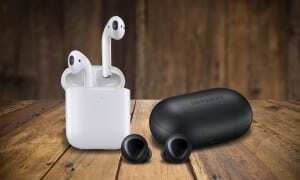 These are useful if you want to wirelessly stream music from your mobile or tablet. Mini hi-fi systems that have Bluetooth and NFC (near-field communication) will easily sync with, and play audio from, your smartphone, tablet or MP3 player. If you’re looking for a mini hi-fi that can play tunes and get you out of bed in the mornings, a model with good alarm options is essential. The best will let you select which days to set the alarm for and how the alarm will sound - be it a buzzer or a radio station. If you and your partner need to get up at different times, look for a model with multiple independent alarms. 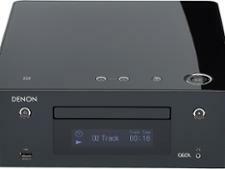 It’s less common than it was, but many mini hi-fi systems still offer a CD player. Some can hold multiple CDs and have internal storage so you can digitise your CD collection and save hundreds of songs to the hi-fi unit. Not everyone will think this is essential but, if you’re picking a mini hi-fi system for a living room as opposed to the bedroom, it can be handy so you don't have to get up every time you want to adjust the volume or switch stations. Look for one with prominent, well-labelled buttons. Some audio brands have a free app you can download to turn your smartphone into a remote control if it doesn't already come with one. A USB port can be useful, as it allows you to plug in other devices, such as a phone or tablet. The hi-fi can then charge your devices or play music stored on them. Similar to a USB stick, some mini hi-fi systems will have an SD-card slot so you can play digital music files stored on an SD card. If you want to connect your mini hi-fi system to your sound bar or Blu-ray player to improve the sound coming from your TV, you’ll need to make sure it has a coaxial input.